Your perfect party ended without a hitch, the cake was perfect, the guests were fun and everyone had a blast, too bad you don’t have any pictures to prove it. How many times has that happened to you? Do you often get caught up with the party planning and hosting that you forget to pick up the camera and capture all those special moments? In order to make sure you have a list of memories to share we’ve created a list of ten must-capture photographic moments during a child’s birthday party. Sometimes we get caught up in all the intricacies of the party we forget to get some pictures of the one person we are celebrating. The best time to capture the birthday boy or girl is before all your guests arrive so they aren’t so easily distracted. If you happen to have a child who is shy around the camera why not give them some birthday balloons to play with. In order to get a child’s perspective of a birthday party you have to get down to their level. Try sitting on the ground while the birthday guests play around you. As you are preparing the house for the party be sure to take capture everyone that helps prepare for the party. If you have a macro lens take a few minutes to capture all the special textures and styles of the party, the place settings, the candles, and more. When you have a lot of fast moving kids to photography it’s best to shoot in burst mode this allows the camera shutter to speed up to capture. There is no birthday without the birthday cake so you won’t want to miss capture the cake prior to being sliced. If there is one picture that everyone always manages to capture during the birthday party is the famous cake with the burning candles and it can be a tricky image to get right. Be sure to take lots of images at different angles. The most challenging thing about the candle ceremony picture is that your guests may crowd around the birthday girl/boy causing you to miss the shot. You can avoid this by shooting from a higher angle. Avoid the forced smiles of your guests, capture them talking amongst each other, capture them playing some of the party games. Once you have enough candid photos of your guest pull back and get some pictures of the entire group. 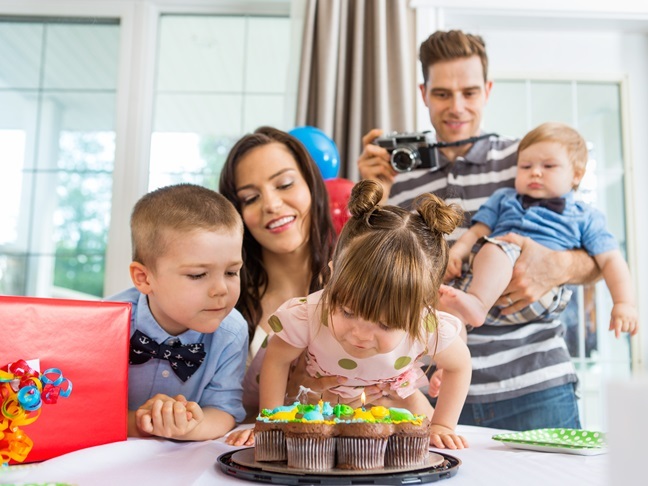 Whether you’re taking pictures of your kids at their birthday or helping a friend with their party you should have plan. You should know what the scheduled events are for the day, a shot list of the guests and the name of someone who can rally people together for some photographs. The most important thing to remember when it comes to capturing memories during the party is to ask someone else to take the pictures so you can concentrate on being the hostess. Juggling both will almost guarantee missed photographic opportunities. Stephanie Elie a writer, photographer and designer. 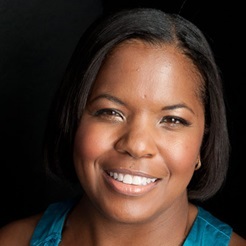 You can find her blogging on BizzieLiving.com, a business and tech blog that was recently listed in Forbes.com 100 Websites for Women or on her photography blog bizziephotography.com.